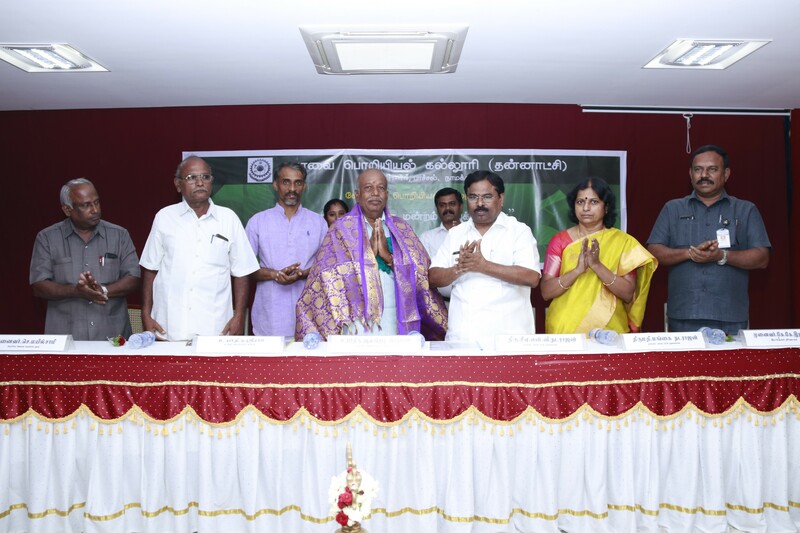 The inaugural function of VELAAN MANDRAM was conducted on 22.09. 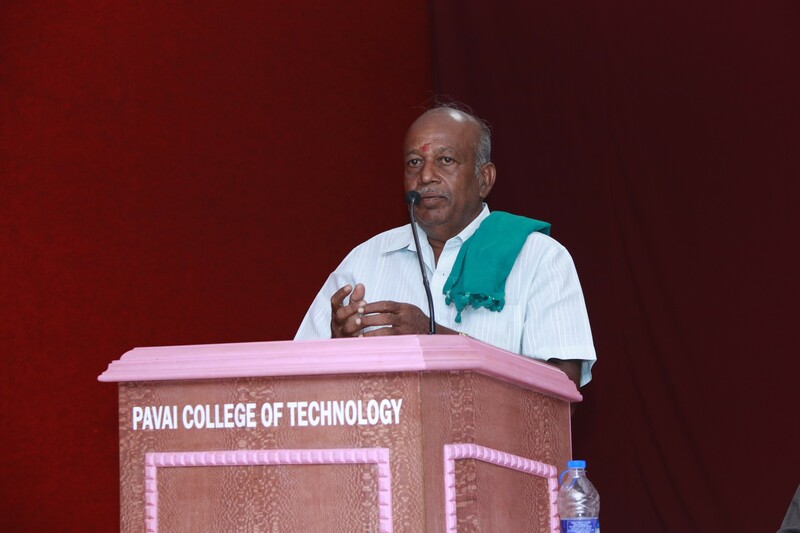 2018 at JRD TATA hall in Paavai College of Technology by Department of Agriculture from 2.30 pm to 4.30pm. 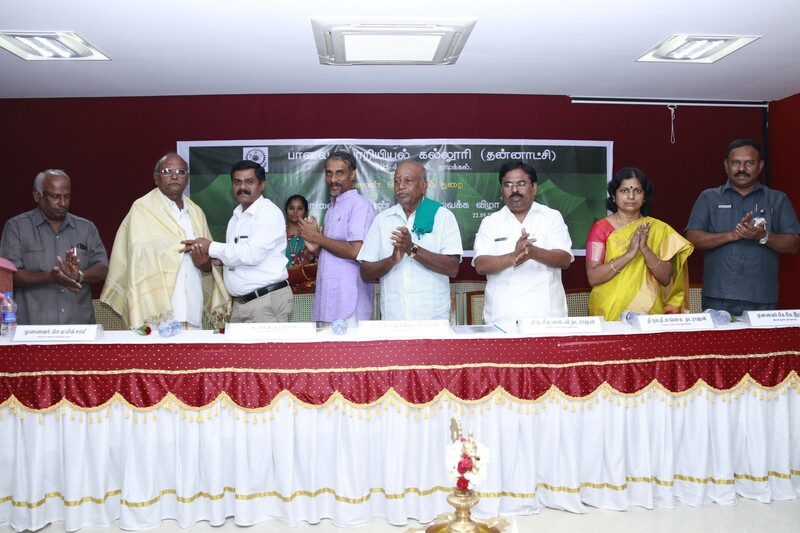 MR. ALANGUDI PERUMAL, MR. SREE RAM and MR.ASHOKAN presided over the function by sharing their experience on farming. 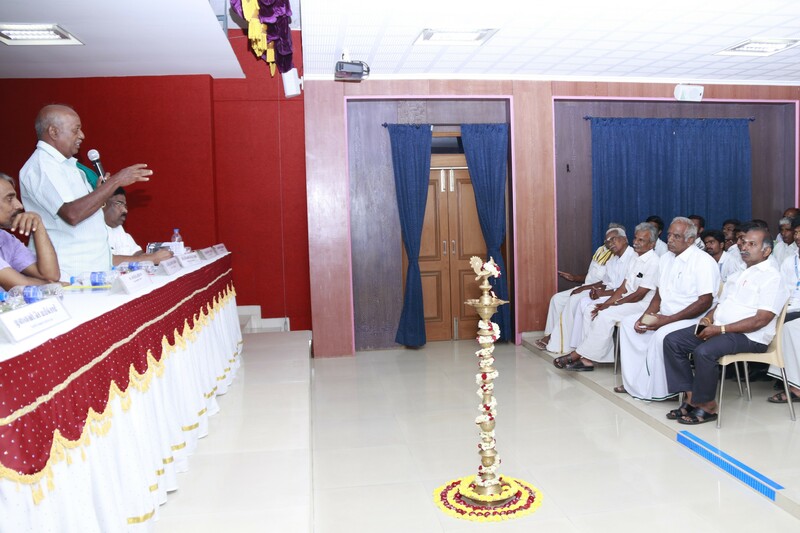 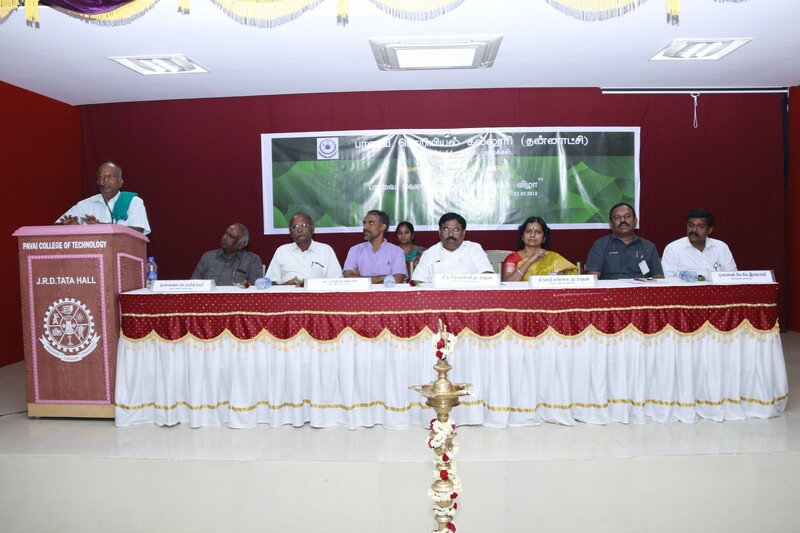 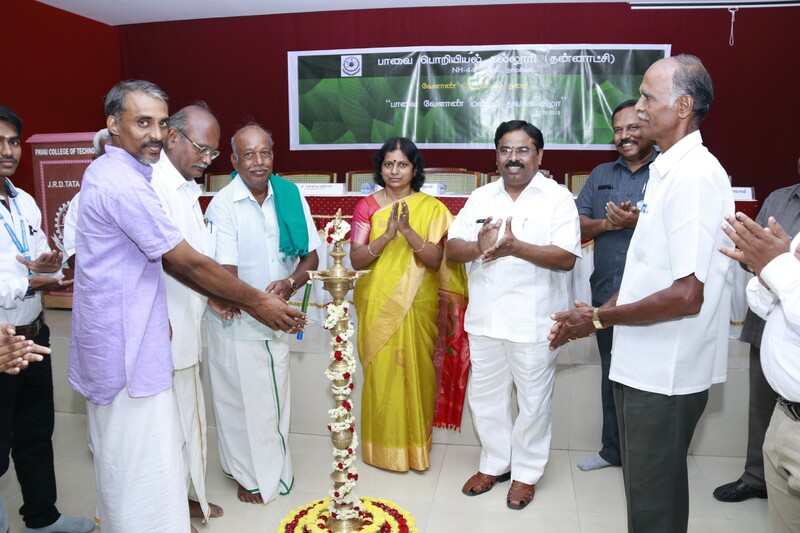 Farmers from various places and students from Agriculture department of Paavai Engineering College participated in the function.The function was inaugurated by Sri .CA N.V.NATARAJAN chairman of Paavai Institution and Smt. 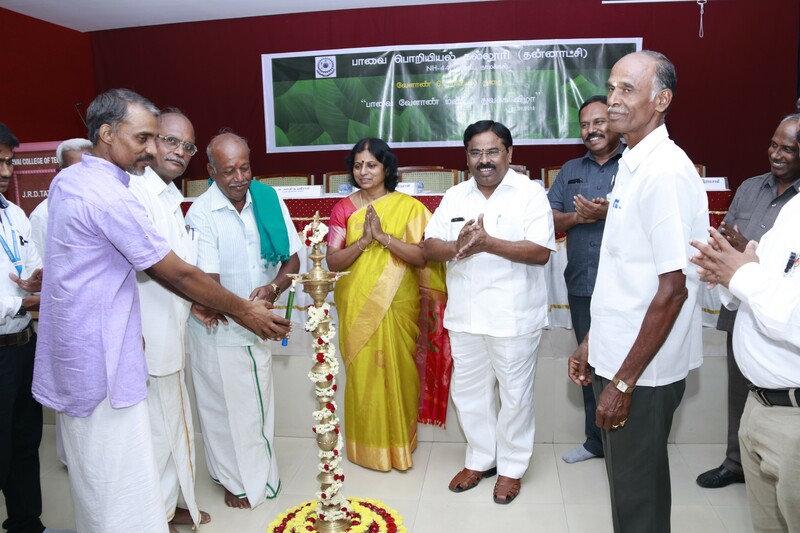 MANGAI NATARAJAN Correspondent of Paavai Institution by lighting lamp. 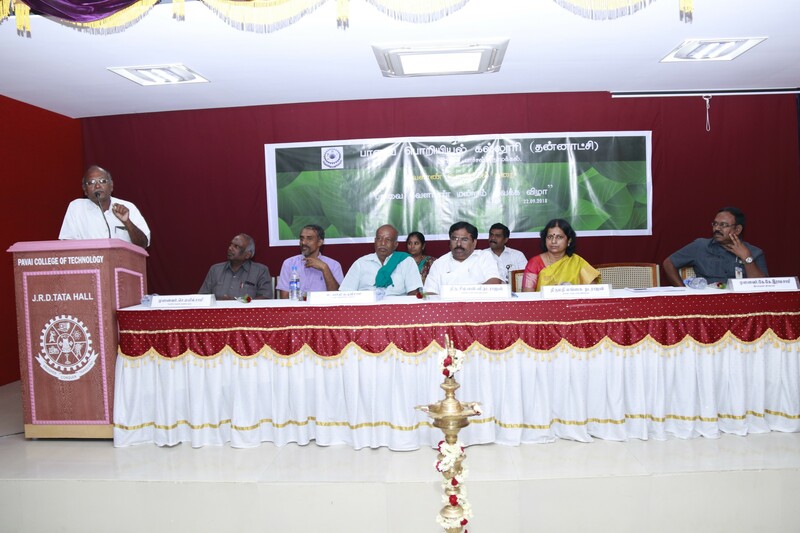 N. AJITH KUMAR, final year student welcomed gathering. 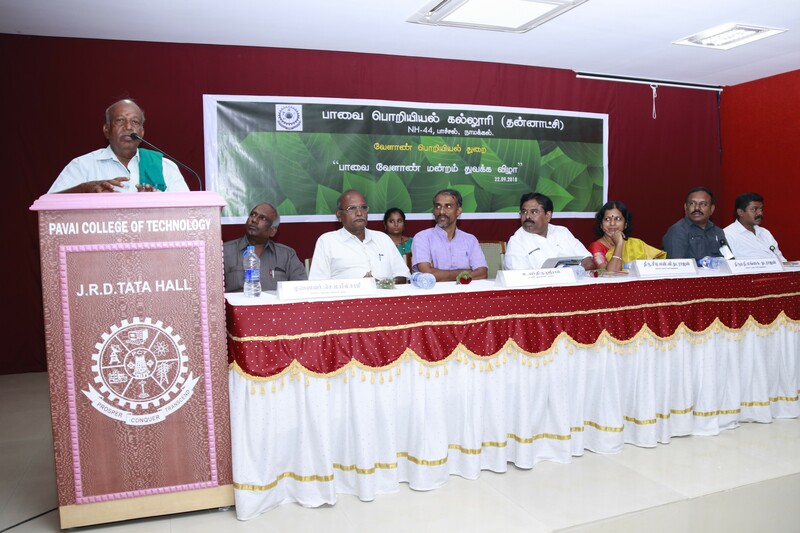 Sri .CA N.V.NATARAJAN Chairman of Paavai Institution gave the introductory address and honoured the guest speakers.Dr. 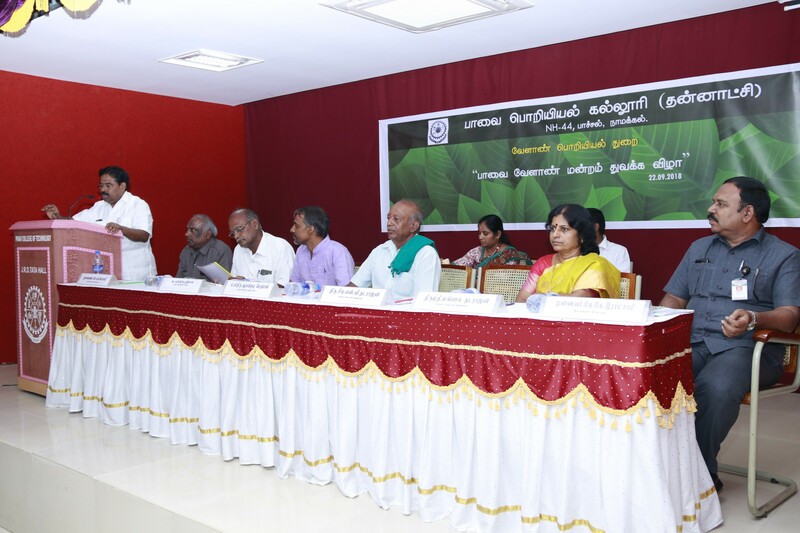 C.MAYILSAMI gave a lecture on the introduction of Green Revolution in India and introduced secretaries and office bearers of the club.Mr. 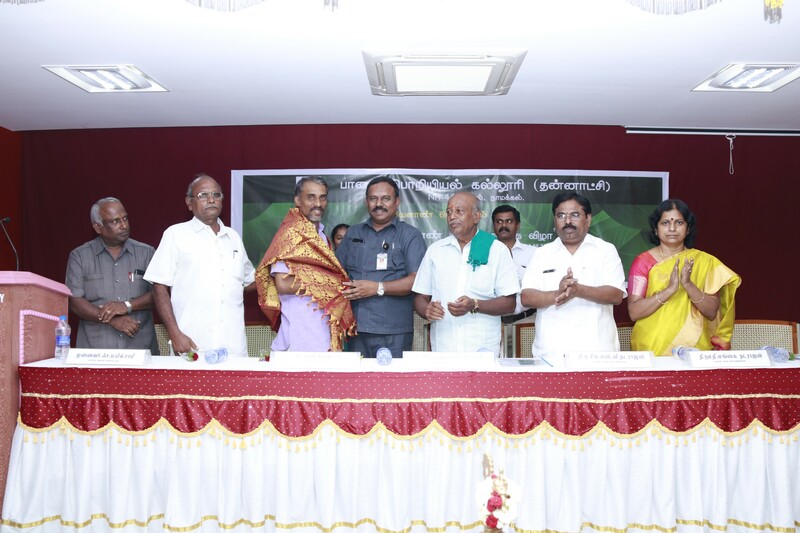 ALANGUDI PERUMAL gave his experience and his new practice in paddy transplanting where he uses 250-500gm of paddy to show in one acre of land and his successful stories in his cultivation practice.Next MR.SREE RAM gave information on traditional rice and its benefits of humans in certain stages of life.Followed by him MR.ASHOKAN gave information on biogas plants regarding the uses of gases produced and slurry which act as manures for plants.Finally the program was concluded by J. JOE RAJI Joint Secretary of the club by delivering vote of thanks.